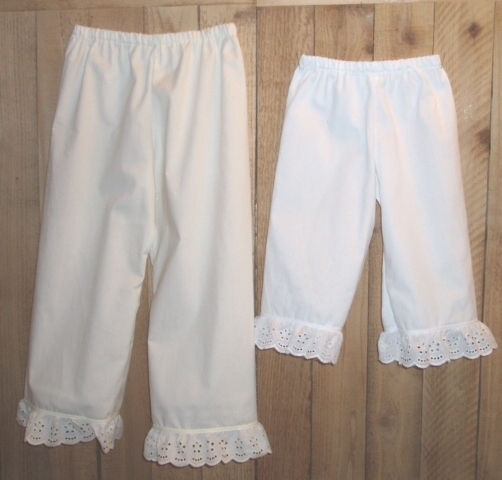 Lovely Prairie Pantaloon/Bloomers features a comfortable elastic waist and eyelet lace on the hem. The muslin is cotton, lace is a cotton/poly blend. All ladies' sizes are 37 in. long. If you need it shorter than what you order, please tell us when you checkout.